Nooooo :( And all the rest of the day’s celebrity dirt. The GAA commentator did the cha cha cha with his partner Ksnenia Zsikhotska the week before last, receiving only eight points in total. I was kind of really devastated on Sunday night and Monday. But Ksenia kept saying to me, “Look, it’s over now, it’s gone”. I listened. By Monday afternoon, I was in a better place. [The judges] have a job to do. I looked at the video of the cha cha cha and it wasn’t my best moment, let’s be honest. I knew I could do better. Lindsay Lohan tried to slag Kim Kardashian’s (problematic) new hairstyle, and it didn’t go too well for her. 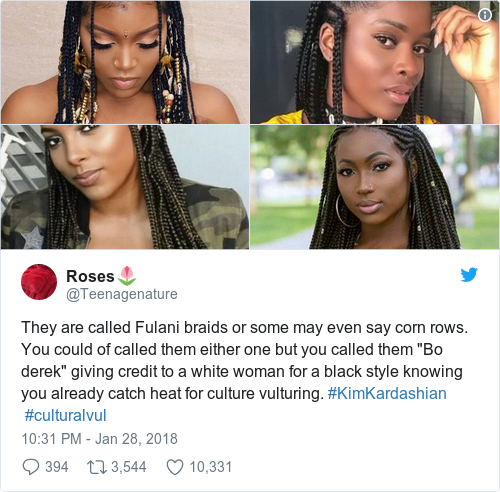 Kim got what she calls ‘Bo Derek braids’, more typically known as cornrows – so naturally, she was called out for cultural appropriation. You know what’s confusing… Your sudden foreign accent. Meanwhile at Kardashian HQ, Kendall Jenner has taken a swipe at sister Kourtney’s ex Scott Disick. Email “Marty Morrissey was 'devastated' after getting the lowest-ever score on DWTS... It's the Dredge”. Feedback on “Marty Morrissey was 'devastated' after getting the lowest-ever score on DWTS... It's the Dredge”.